On September 11, 2001, a group of al-Qaeda terrorists carried out multiple attacks by crashing planes into the Pentagon in Washington D.C. and the Twin Towers in New York City. These attacks killed 2,997 people including 2,753 people alone in New York. The events and attacks that took place during the day shook Americans to the core and wreaked catastrophic damage in the beloved New York City. On the morning of September 11, nineteen terrorists hijacked four commercial California-bound airplanes from Boston Logan International Airport, Newark International Airport, and Washington Dulles International Airport. Starting as early as 5:45AM, hijackers were spotted by security cameras heading to their respective airports where they would pull off the deadliest terrorist attack on American soil to date. American Airlines Flight 11 takes off from Boston Logan International Airport at 7:59AM with eleven crew members, five hijackers and seventy-six passengers. United Airlines flight 175 takes off at 8:15AM from Boston Logan International Airport with nine crew members, five hijackers and fifty-one passengers. American Airlines Flight 77 takes off from Washington Dulles International Airport at 8:20AM with six crew members, five hijackers and fifty-three passengers. Finally, United Airlines Flight 93 takes off late from Newark International Airport at 8:42AM with seven crew members, four hijackers and thirty-three passengers. All of these planes were carrying a lot of fuel because they were scheduled to be traveling across the country to different cities in California which is what made them ideal to the terrorists. The more fuel, the more destruction these planes could cause. Twenty minutes into Flight 11’s journey, flight attendant Betty Ann Ong transmits a detailed call to the ground informing them that a hijack is underway saying “the cockpit’s not answering. Somebody’s stabbed in business class. And I think there’s mace-that we can’t breathe. I don’t know. I think we’re getting hijacked.” The Federal Aviation Administration (FAA) alerts the North American Aerospace Defense Command (NORAD) about the hijacking and they instruct two fighter jets to find the plane and tail it but they are too late. 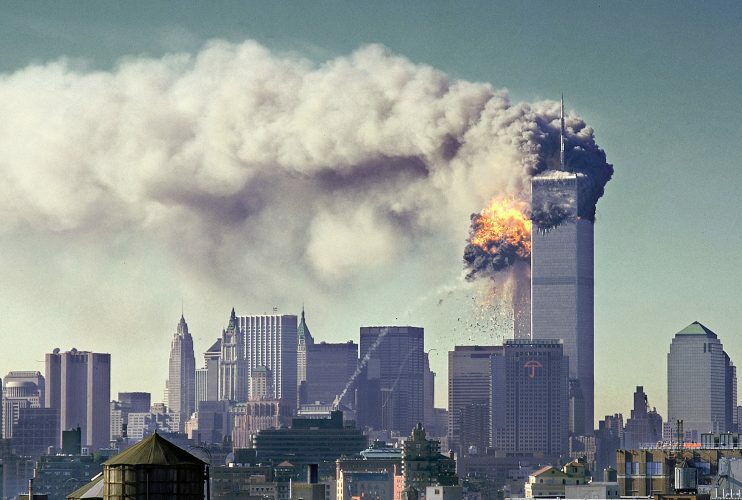 Before the fighter jets even take off, at 8:46AM, Flight 11 crashes into floors 93 through 99 of the North Tower. Robert Leder worked as an executive at SMW Trading Company on the 85th floor of the North Tower, and he witnessed the plane crashing into the building. He recalls: “I was looking outside the window, facing the Empire State Building, when I saw the plane coming into the building. There was such a dramatic change of atmospheric pressure from the plane hitting. The building swayed from the impact, and it nearly knocked me off of my chair. Our ceiling imploded. Some of our walls began to implode. I saw people coming past the window. I don’t think these were people who jumped. I think people must have [been] sucked out of the windows because of the pressure.” Leder is able to make it out alive but he describes a hectic, firsthand scene inside the heart of the North Tower’s devastation. Another eyewitness account comes from Martin Glynn, who describes what it was like watching the events unfold in the North Tower from the South Tower. Glynn entered the South Tower moments before the North Tower was hit and by the time he reached the 78th floor he was able to see the damage. Glynn says. “I looked up and saw the flames shooting out of the top floors. I looked down and saw three distinct large pools of blood. I reckon the largest was thirty yards across. The bodies were mixed in with the wreckage and I could make out several legs sticking out of the debris. I looked back up just to see a man in a white shirt jumping from a top floor. I saw his face clearly. My eyes followed him down till the ground came into focus, then I looked away.” Many people trapped on floors were seen jumping out of the windows instead of burning to death in the intense fires. The fall from the towers was said to be ten seconds and they were pretty much obliterated at impact because they traveled at very high speeds towards the ground. There is an estimate that over 200 people jumped or fell to their death in the North and South Towers. As the North Tower burns up and first responders rush to the scene, the hijacking of United Airlines Flight 175 is underway and at 9:03AM the aircraft crashes into floors 77 through 85 of the South Tower. In response to the two towers being struck, the FAA orders a ban of all air traffic going to or around New York City. While all first responder effort and media attention is focused on New York City, American Airlines Flight 77 is hijacked and heading for the Pentagon in Washington. At 9:37AM the plane barrels into the pentagon and everyone on board is killed plus 125 people on the ground. Following the attack on the Pentagon, the FAA, for the first time in history, grounds all flights in the United States. Within three hours, all commercial flights and private planes around the country are forced to land immediately at the closest airports. There is also an evacuation of many high-profile buildings and public spaces in preparation for more possible attacks. During this time United Airlines Flight 93 is hijacked and twenty minutes out of Washington. The passengers have all gotten wind of the events and know that their plane is most likely heading for a building. In a group effort, they storm the cockpit and force the terrorists to crash the plane into a field in Shanksville, Pennsylvania. All of the people on board perish but the passenger’s heroism is recognized, as they prevented another devastating attack. 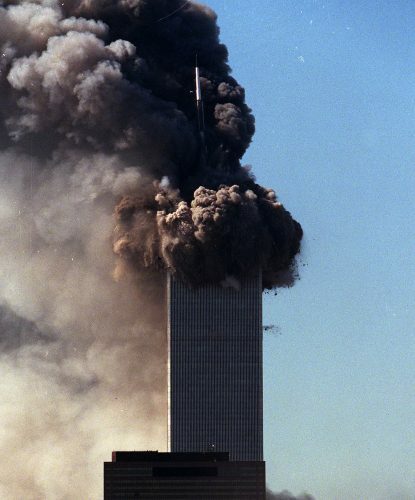 Although the South Tower was hit second, it is the first tower to collapse. At 9:59AM the South Tower collapses. Over 800 people in the building and the surrounding area are killed from the South Tower attacks. Almost thirty minutes later, at 10:28AM, the North Tower meets its demise and collapses to the ground. Over 1,600 lives are lost in the collapse and attack in the North Tower. The collapse of both towers creates an enormous dust cloud that ravages through the streets of New York City leaving dismay and a heavy coat of dust in the surrounding area. The 9/11 terrorist attacks obviously shocked the world, but the collapse of the towers was the most dramatic and unexpected events of the days. These massive towers were built to withstand fires and explosions but yet they still collapsed fairly quickly. Engineers have examined the collapse and the buildings and say, “nearly every large building has a redundant design that allows for loss of one primary structural member, such as a column. However, when multiple members fail, the shifting loads eventually overstress the adjacent members and the collapse occurs like a row of dominoes falling down.” After further investigation it was found that the massive and extremely intense fire from the jet fuel weakened the steel and the overall structural integrity of the buildings causing them to collapse in a short amount of time. The events of 9/11 were unimaginable and devastating to not just New York City but to America as a whole. At 8:30PM on September 11th the President addressed a rattled and devastated nation. President Bush started his address by saying, “today, our fellow citizens, our way of life, our very freedom came under attack in a series of deliberate and deadly terrorist acts.” President Bush attempted to reassure everyone that terrorists could shake buildings and dent steel but they could never break the foundations and resolve of Americans. He praised American’s for coming together and uniting when it mattered most, and reassured everyone that they were already searching for the people behind these heinous and deadly attacks. When the smoke cleared, and the only thing left was rubble and the remains of the innocent, American’s found hope in a time of devastation. American’s united in this time of need and leaned on each other to get through these horrible and tragic events. New York may have been the city under attack, but all Americans felt personally attacked that day. New York was in mourning and so was the rest of the country. In the days and months following the attacks, 36,000 units of blood from around the country were donated to the New York Blood Center, celebrities put on benefit concerts in memory of the victims, and the Red Cross received $3 million in donations in just two days. Americans gathered in public locations such as, Chicago’s Daley Plaza, Honolulu’s Waikiki Beach, and New York City’s Union Square Park, to mourn and pay tribute to the victims. Although Americans all felt differently about how to respond to this tragedy, they took comfort in knowing that they were all united together. Throughout New York City’s history, it was always seen as a significant powerhouse of the United States. 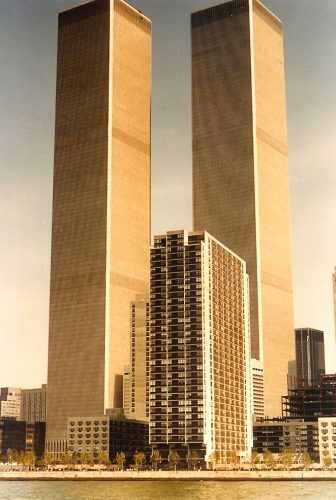 The Twin towers alone represented New York’s financial and world dominance. When 9/11 occurred and these monumental buildings came crashing down, New York found itself vulnerable and distraught. Regardless of this, New Yorkers and Americans never faltered and they persevered together. In this time of desperation, everyone was truly a New Yorker. Today, two reflection pools are located where the twin towers once stood. A museum is located below ground zero where there are many artifacts from that dreaded day. The events of September 11, 2001 have left a huge footprint in New York and the country will never forget the tragic events that took place that day. Betty Ann Ong, phone call to American Airlines ground personnel, September 11, 2001. History.com staff, “9/11 Timeline” history.com, accessed October 1, 2017. http://www.history.com/topics/9-11-timeline. “Oral Testimony from Survivors of the World Trade Center Attack,” in The 9/11 Encyclopedia 2011, ed. Stephen E. Atkins (ABC-CLIO). “STATEMENT BY PRESIDENT GEORGE W. BUSH IN HIS ADDRESS TO THE NATION” accessed October 01, 2017. https://www.911memorial.org/911-primary-sources. “Oral Testimony from Survivors of the World Trade Center Attack.” In The 9/11 Encyclopedia, edited by Stephen E. Atkins. 2nd ed. ABC-CLIO, 2011. “STATEMENT BY PRESIDENT GEORGE W. BUSH IN HIS ADDRESS TO THE NATION” National September 11 Memorial & Museum. 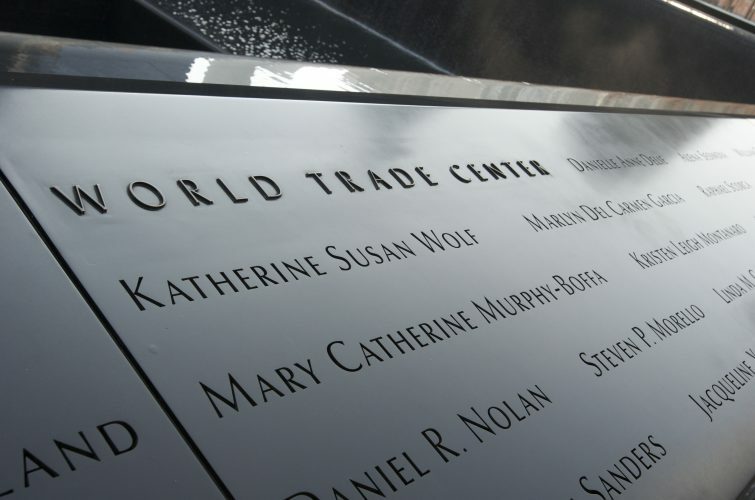 Accessed October 01, 2017. https://www.911memorial.org/911-primary-sources.